Mississippi law was recently changed to specifically include spousal domestic abuse as a fault ground within the already existing habitual cruel and inhuman treatment fault ground. Below is the statute. Habitual cruel and inhuman treatment, including spousal domestic abuse. Spousal domestic abuse may be established through the reliable testimony of a single credible witness, who may be the injured party, and includes, but is not limited to: That the injured party’s spouse attempted to cause, or purposely, knowingly or recklessly caused bodily injury to the injured party, or that the injured party’s spouse attempted by physical menace to put the injured party in fear of imminent serious bodily harm; or That the injured party’s spouse engaged in a pattern of behavior against the injured party of threats or intimidation, emotional or verbal abuse, forced isolation, sexual extortion or sexual abuse, or stalking or aggravated stalking as defined in Section 97-3-107, if the pattern of behavior rises above the level of unkindness or rudeness or incompatibility or want of affection. This change is primarily significant for a few reasons. It changed the corroboration requirement. Previously it required testimony and/or evidence not only from the victim but also from another witness or source, such as a third-party or the admission of police or medical records. Now, if the Judge finds the victim/witness credible the Court may grant the award of a fault based divorce. Additionally, the statute specifically provides for a fault based divorce to be granted based on abuse other than physical, including emotional, verbal, sexual, and stalking behavior. These are significant and welcomed changes in Mississippi law. More info on fault grounds can be read here. 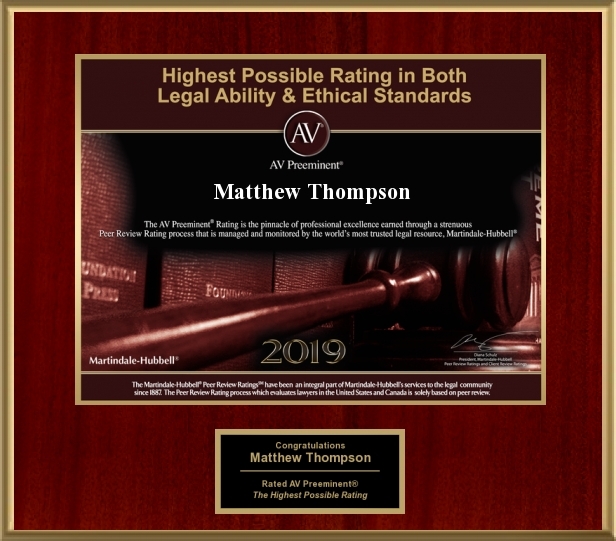 Matthew Thompson is a divorce attorney in Mississippi. Only two states in the Country still require fault grounds for a divorce if the parties cannot agree to all issues; Mississippi and South Dakota. Previous PostHappy Mother’s Day!Next PostGet a Checkup.